Federal prosecutors late Tuesday charged British drug maker Indivior with felony fraud and conspiracy for its marketing of opioid products including Suboxone. 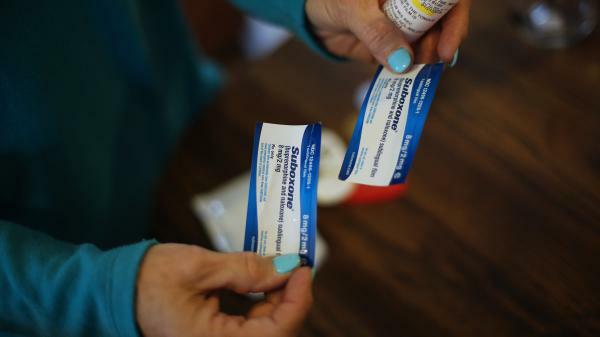 The company allegedly created a “nationwide scheme” in the U.S. designed to convince doctors and government insurance providers that Indivior’s patented opioid medications are safer and less prone to abuse than cheaper generic alternatives. “The indictment alleges that, rather than marketing its opioid-addiction drug responsibly, Indivior promoted it with a disregard for the truth about its safety and despite known risks of diversion and abuse,” said Assistant Attorney General Jody Hunt in a statement. Federal prosecutors claim Indivior bilked Medicare, Medicaid and other health care providers out of billions of dollars as they paid for a more expensive version of the drug, believing it to be safer. The criminal charges, filed in the western district of Virginia, stem from a joint investigation that included the U.S. Food and Drug Administration, Virginia’s state attorney general office, and other agencies. Federal prosecutors say if Indivior is found guilty, the company should forfeit at least $3 billion in penalties. In its response, Indivior said the company acted responsibly and has played a crucial role responding to the deadly opioid epidemic. The firm also says it tried to negotiate a settlement before the charges were filed. “We are extremely disappointed in this action by the Justice Department, which is wholly unsupported by either the facts or the law,” Indivior’s statement said.